Writing essays is an integral part of the curriculum of any educational institution. To create a summary in their native language is quite a feasible task, but what to do if the job is to write and place an essay in English? Once you got a job, select a theme and start searching for material. For example, if your theme is "Alaska. Excursion into history" (Alaska. History), you run the query (first in Russian, then in English) in the search bar of your browser and copy all the material required for writing the essay in a separate document. If the material is in a foreign language incomprehensible to the content or given without translation, use an online translator. The material chosen in Russian, you will also need to translate into English (use online translator or, if your knowledge in English good enough, try to do the translation yourself). Making a summary in English, remember that the total number of pages should be 15-30 pieces in print (this includes title page, references, and main text). Print your essay on A4 paper, on one side of the sheet. The title page of the abstract in the English language format in accordance with standard requirements. In the top center of the page write to the Ministry of Education of the Russian Federation (Ministry of education). A few margins below (in the center), place a General topic/section (e.g., Section: Area stadies), and subtopic (e.g., Topic: The History of Alaska). Drop the cursor below a few, make the alignment on the right side and write Done by (written(a)...) your surname and name (of course also in English, for example, Irina Smirnova). The outcome of the title-page is an inscription with the city name and the year of writing the essay (for example, Moscow 2009). The inscription located in the lower part of the "titulnik", in the center of the page. As and abstracts in Russian, abstract in English should include a table of contents, introduction, main part, conclusions, applications, and a numbered list is used when writing literature. 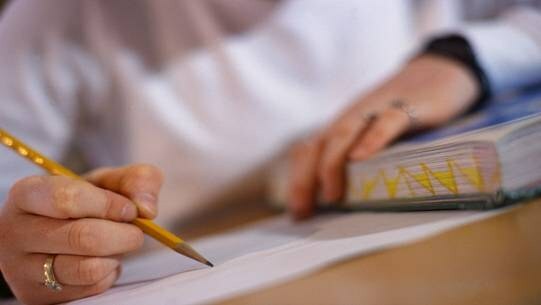 On this basis, elaborate the content of the essay: make a rough plan of work and for each section choose any material. To facilitate his work, one essay in English and complete his literary creation exactly like the document you found on the net (in compliance with indents, font, paragraph, and spacing). As for the headers, they specify not only pagination, but also the topic itself (in this case, The History of Alaska). Each new item (subtitle) select bold and italic. The alignment of the main text should be left-aligned.